„We may not abandon the place“ and „Never let them stop you from working“. 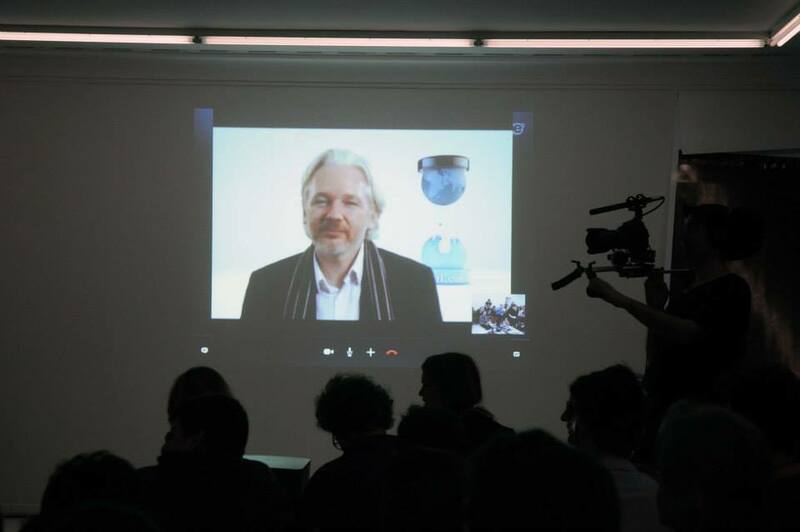 These are the two most important advices, Julian Assange gave to the audience, when speaking via Skype from his room in the Ecuadorian embassy in London for one hour to the about 100 people at the Helmhaus in Zurich in the evening of the 8th of March 2014. Dieser Eintrag wurde veröffentlicht in Electronic Art, Mixed Media, Politics / Activism von ania. Permanenter Link des Eintrags.